Harleysville, PA, is a peaceful community nestled in the Perkiomen Creek watershed in Montgomery County. Founded in the 1700’s and settled by the Harley family, the area is a treasure trove of proud Pennsylvania Dutch history. Arbour Square of Harleysville celebrated its Grand Opening in 2006. As an Independent Living community, Arbour Square offered a new option for seniors in Montgomery County – a rental community with no long-term lease or entrance fee. 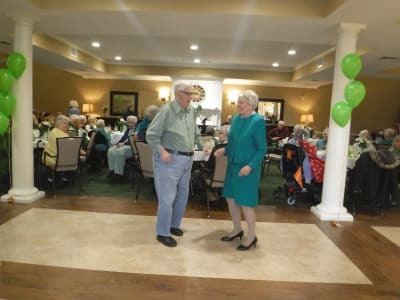 A total of 150 apartments with a quaint Main Street, various activity and gathering areas, and multiple dining venues were quickly filled with seniors eager for an easier, but active lifestyle. In 2014, Arbour Square expanded and added an additional 125 apartments and another 125,260 square feet of living area. Amenities include a fitness area, library, movie theater, sports bar, art studio, woodworking shop and more! Residents of Arbour Square can also take advantage of the variety of activities located in and around the Harleysville area. Within a nine-mile radius, there are four wineries and vineyards, six scenic golf courses including two which offer miniature golf and a driving range for family fun. The Movie Tavern and The Grand Theatre are great choices for rainy days. The Elmwood Park Zoo and the Alpaca Farm are local favorites. Seasonal festivals include the Country Fairs Days in late May and the annual Apple Butter Frolic in early September. The Dutch Country Playhouse, The Sellersville Theatre, and the Montgomery Theatre offer performing arts lovers an array of entertainment throughout the year. Harleysville is a wonderful community to call home and Arbour Square provides seniors the affordable all-inclusive lifestyle they deserve!